Well, we’re pleased to say that we’ve had a pretty good year on our lovely wee Caravan Park in North East Fife. We had our fair share of the poor weather that Britain suffered this year but it was still great to welcome lots of new visitors to our site throughout the year and our static caravan sales have remained pretty steady which is reassuring in difficult times. As we are approaching the end of the year we are now offering a substantial saving on two of our caravans. Our brand new Pemberton Elite with free balcony included in the price has just been reduced to £33,00 (original price £36,000). At the other end of the market we are now offering the chance to own your very own holiday home on our tranquil site for a mere £9,000! 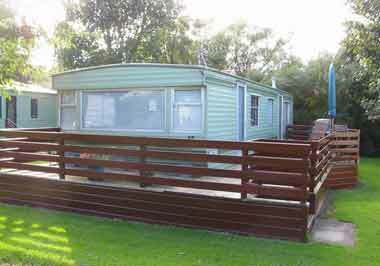 The Willerby Herald, again with a large balcony included, has just been reduced from £11,000.